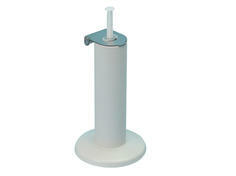 A safe and inexpensive way to protect yourself when recapping a used syringe. 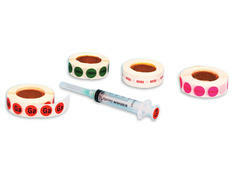 This color-coded system has been designed to quickly identify radiopharmaceuticals. 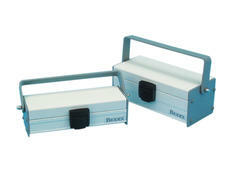 Reduce exposure while storing or transporting radioactive material. 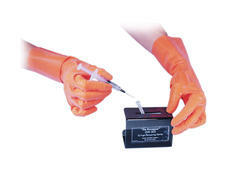 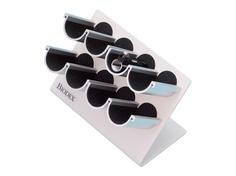 Offers a means of protecting syringe shields from scratches or misplacement while freeing up extra work space.